FINALS UPDATE: Grey's Anatomy (1.8), The Big Bang Theory (2.6) and MasterChef Junior (R) adjusted up while The Catch (0.6) adjusted down. On NFL Draft night, usual victim The Big Bang Theory (2.4) is eyeing a new series low but could match its last original from two weeks ago with an upward adjustment. The other comedies The Great Indoors (1.2), Mom (1.3) and Life in Pieces (1.1) were also pretty steady. NBC tried to beef up its sweeps ratings by pulling Powerless and moving Superstore to 8:30, but was not rewarded for its efforts; the Superstore repeat (0.5) at 8/7c was below last week's Powerless, the Superstore original (0.8) fell back to its low from two episodes ago, and Chicago Med (1.0) was also down a notch. The Blacklist (0.8) matched last week's 10/9c episode. On ABC, Grey's Anatomy (1.7) inched down but the rest of TGIT showed some improvement, with Scandal (1.4) and The Catch (0.7) both up from last week in the prelims. And the CW had its second straight 0.5/0.3 night as Supernatural and Riverdale returned from hiatus even. FINALS UPDATE: Black-ish (1.3), Survivor (1.8) and Criminal Minds (1.3) adjusted up. On the eve of May Sweeps, almost every Wednesday regular was back in original action. The one exception was Modern Family, so ABC went with a full hour of original Black-ish (1.2/1.2) at 9/8c. The series tied its lowest rating of the season, set back in early December on another night when there was no Modern Family original. 8/7c comedies The Goldbergs (1.4) and Speechless (1.2) each fell as well, hitting new season lows in the prelims. Designated Survivor (1.1) managed an uptick with a return to an original lead-in. NBC was back from another long hiatus, with the improvement continuing for Blindspot as it hung at its 0.9 from late March. Law and Order: SVU (1.1) and Chicago PD (1.2) tied their season lows and were down a tenth from their last episodes pre-hiatus. On Fox, Shots Fired stayed at the 0.8 it posted last week on an Empire repeat night, while Empire (2.1) was back at another new season low. CBS' Survivor was ever-resilient at 1.7, leading into a low-end 1.2 from Criminal Minds and another 0.8 as Criminal Minds: Beyond Borders reunited with its mothership lead-in. And the CW's Arrow and The 100 returned with their usual 0.5/0.3. FINALS UPDATE: Agents of SHIELD (0.7) and The Mick (0.9) adjusted up while 48 Hours: NCIS (0.6) and iZombie (0.3) adjusted down. 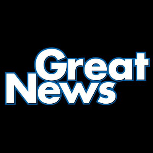 NBC's new comedy Great News opened with a 1.2 demo at 9:00, slipping to a 1.0 at 9:30. This is just barely worse than the opening weeks of Trial & Error, which had much bigger lead-ins. The next question is if News can avoid the big week two drop that T&E saw in its second week in the 9:00 hour. Surrounding News were even The Voice (1.8) and Chicago Fire (1.3). On ABC, there were three comedy repeats (0.8/0.8/0.8) leading into an original Imaginary Mary (0.8), while Agents of SHIELD (0.6) finally fell back to its usual low from the winter. Fox was even across the board with Brooklyn Nine-Nine (0.7), The Mick (0.8 after sitting out last week) and Prison Break (0.9). CBS had drama repeats (0.7/0.8) leading into a preview of new newsmagazine 48 Hours: NCIS (0.7), which will be back to this slot in a month to eat up some early summer real estate. And The Flash (1.0) returned from hiatus, ticking up from its last ep in late March. It brought iZombie (0.4) up by a tick as well. These numbers are current through Monday, April 24. Like Veep last Sunday, Silicon Valley took a big hit in the absence of the Game of Thrones halo, down 58% year-to-year in its season four premiere. Still, 0.44 left it as the highest-rated original in this new HBO lineup, building on The Leftovers (which was down to 0.34 but is still having a big growth season overall). Veep held last week's 0.27. FINALS UPDATE: Gotham (1.0) adjusted up while Quantico (0.5) and Scorpion (R) (0.6) adjusted down. Numbers and analysis coming shortly. Monday highlights include the return of Gotham on Fox after nearly three months off, plus Supergirl and Jane the Virgin coming back to originals on the CW. FINALS UPDATE: America's Funniest Home Videos (1.1), Little Big Shots (1.3), Bob's Burgers (0.8) and The Last Man on Earth (0.8) adjusted up. Little Big Shots (1.2) was back from its Easter break, and will have to hope for some finals help to avoid a new low. Chicago Justice (1.0) was on the uptick, while Shades of Blue stuck at 0.7. On ABC, it was a nice night for America's Funniest Home Videos (1.0), which typically seems to benefit from the network's late-afternoon NBA playoff games at this time of year. Once Upon a Time (0.8) and Match Game (0.7) were also up a notch from last week's Easter results, but American Crime (0.3) fell to tie its low (from the night that got Time After Time pulled). Fox was back to originals, but the animated anchors were still off. That meant another original double-dip for Bob's Burgers (0.7 at 7:30/0.9 at 8:00), an even Making History (0.6), a repeat of Family Guy (0.8) and a sinking The Last Man on Earth (0.7). And the CBS dramas NCIS: Los Angeles (1.0), Madam Secretary (0.7) and Elementary (0.5) all tied season lows. This is a quick follow-up on a point I made in the introduction of the Plus daily tables. Those tables contain True Plus numbers, and I advised against using the traditional Plus labels because True ratings have a much smaller standard deviation. (That is, because they're designed to be more "fair" across the entire season, they are much more bunched together.) Here's a quick stab at some alternative labels you can try using with True Plus ratings. FINALS UPDATE: Blue Bloods (R) (0.7) and Dateline (1.1) adjusted up while The Originals (R) (0.2) and Reign (R) (0.1) adjusted down. Two years after Bruce Jenner: The Interview marked a major cultural moment with a tremendous 5.2 rating, Caitlyn Jenner was back in ABC Friday primetime on 20/20, but the ratings (0.8) were pretty standard for the series. The Toy Box (0.6) and Shark Tank (1.0) were both on the downtick as well. With CBS (0.7/0.6/0.6) and the CW (0.3/0.2) both in repeats on the final Friday before May sweeps, that left Rosewood (0.6) as broadcast's only scripted original of the night. After quietly pulling You the Jury earlier in the week, Fox improved its fortunes by leading out of Rosewood with a repeat of Lethal Weapon (0.5). On NBC, week three of First Dates (0.7) was even, pulling ahead of Toy Box in the 8/7c hour, while Dateline (1.0) was on the upswing. FINALS UPDATE: Modern Family (R) (1.0) adjusted up while Law and Order: SVU (R) (0.7), Arrow (R) (0.1), Whose Line Is It Anyway? (R) (0.1) and Whose Line Is It Anyway? (R) (0.2) adjusted down. Most of the Wednesday regulars snuck in one last repeat/pre-emption before returning to originals next week. That left a two-hour edition of Survivor (1.7) almost alone to dominate the night. It led into Criminal Minds: Beyond Borders (0.8) at 10/9c. ABC had another quartet of comedy repeats (1.0/0.9/0.9/0.8) leading into original Designated Survivor (1.0), and Designated preliminarily got a tenth back after last week's big slide. 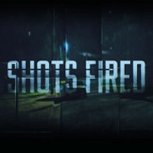 Fox got to take a look at Shots Fired (0.8) without pre-tune assistance, since Empire (0.8) was also a repeat. It was down a tenth. NBC (0.8/0.9/0.8) and CW (0.3/0.3/0.3) went total repeat mode. As of today, we are four weeks away from the last day of broadcast upfronts and five weeks away from the first day of summer. In the coming weeks, there will be a lot more to say about renewals, cancellations and schedules, but I'd like to take this moment to preview some of the more trivial, historical matters in the 2016-17 ratings season. How is this season's new show class? How are the networks faring on a relative basis? FINALS UPDATE: The Middle (1.3) adjusted up while The Flash (R) (0.2) adjusted down. 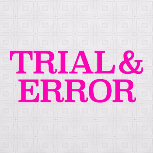 NBC's The Voice (1.7/1.8) went to two hours and led into the double-episode finale of Trial and Error (0.9/0.7) at 10/9c. T&E basically matched its last couple weeks in the 9:00 hour. Voice was seemingly devastating to CBS' NCIS (1.3) and Bull (1.1), which both tanked to new lows by wide margins and decisively ending Bull's long streak of 1.3's. NCIS: New Orleans (1.1) fared quite well by comparison, enjoying the hiatus of Chicago Fire in the 10/9c hour. On ABC, The Middle will hope for finals help to avoid 1.2 again, but American Housewife (1.2) perked up. It was also a mixed bag at 9/8c opposite The Voice, as Fresh Off the Boat (1.0) was down but Imaginary Mary (0.9) took an interesting turn upward. Agents of SHIELD continued to make a surprisingly decent case in the spring with an uptick to 0.8. 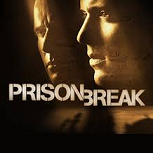 Week three of Prison Break (0.9) went fractional for Fox, with no help from a The Mick repeat lead-in (0.5). Brooklyn Nine-Nine hung at 0.7 in its second airing of the spring. And iZombie, the CW's only scripted original this week, stuck at 0.3 out of a repeat The Flash (0.3). These numbers are current through Monday, April 17. HBO will have to wait longer than usual for its Game of Thrones return, which would usually come about this time of year. But the network got some good news on a much smaller scale as the return of acclaimed drama The Leftovers (0.39) was up by six hundredths from its last premiere back in October 2015. FINALS UPDATE: Dancing with the Stars (1.8) and Kevin Can Wait (1.1) adjusted up while Quantico (0.5) adjusted down. A Disney-themed edition of ABC's Dancing with the Stars (1.7/1.8) surged to its best rating in at least three weeks, putting it above the year-ago airing in raw numbers for the first time since the season premiere. But its lead-in Quantico was stuck at 0.6. Elsewhere, it was mostly more of the same, including steady showings from CBS' 2 Broke Girls (1.0) and Fox's 24: Legacy (0.8) in their season or series finales. CBS was at 1.0 across the board for its comedy lineup, which made Kevin Can Wait (1.0) look a lot worse than usual, but looked good in the 10/9c hour as Scorpion (1.1) was on the uptick. 24 led into a fourth consecutive 0.6 from APB. On NBC, The Voice (2.0) was preliminarily down a notch, leading into Taken (0.9) which was preliminarily up a notch. And the CW finished out its final Supergirl hiatus with another repeat (0.2). FINALS UPDATE: Bob's Burgers (R) (0.4) adjusted up. On Easter Sunday, NBC's Little Big Shots went into repeat mode in the 8:00 hour (0.8), but its lead-out dramas Chicago Justice (0.9) and Shades of Blue (0.7) held up OK, with Justice inching back down to tie its low from two weeks ago. ABC had a special on Disney nature documentaries (0.6) in the 7/6 hour, leading into Once Upon a Time (0.7), Match Game (0.6) and American Crime (0.4). Like Justice, Match Game inched down to match its season low, while the surrounding dramas held steady. CBS had the best Easter by a long shot thanks to a nice showing from a two-hour special on The Bee Gees (1.2). But that lead-in was of no help to Elementary (0.6) at 10/9c. And Fox's comedy repeats (0.3/0.6/0.4/0.6/0.4) did a good bit worse than last week, perhaps hurt by a repeat Ice Age special (0.3) in the lead-off role. FINALS UPDATE: Shark Tank (1.1) adjusted up while The Originals (0.3) adjusted down. Each of last week's unscripted premieres lost a tenth in week two, leaving The Toy Box and First Dates each at 0.7 while You the Jury fell to an even more egregious 0.3. A couple other shows took a Good Friday hit, with Shark Tank (1.0) down two tenths in the prelims and CBS newbie MacGyver (0.8) falling to a new low on its finale night. But CBS' Hawaii Five-0 (1.0) and Blue Bloods (1.0) along with Dateline (0.8), Rosewood (0.5) and the CW dramas (0.4/0.2) all matched last week. FINALS UPDATE: Grey's Anatomy (1.8), The Big Bang Theory (2.5) and Chicago Med (1.1) adjusted up while Scandal (1.3) and The Amazing Race (0.8) adjusted down. After a couple repeat-laden days, everyone was back to originals on Thursday, with ABC seeing a bounce at 9/8c for the 100th episode of Scandal (1.4). Surrounding programs Grey's Anatomy (1.7) and The Catch (0.7) were both even. NBC's Trial and Error tried (and failed) to make its case in a different timeslot, plummeting to a new low 0.6 in a special Thursday lead-off episode. Later in the night, NBC said goodbye to The Blacklist: Redemption, even at 0.7 leading out of another 1.0 from Chicago Med. On CBS, The Big Bang Theory (2.4) is headed for another new low, and fellow comedies The Great Indoors (1.2), Mom (1.3) and Life in Pieces (1.1) were also on the downtick. The Amazing Race made it three in a row at 0.9 to start the season. Bringing up the rear were Fox's MasterChef Junior (0.9) and a new low for Kicking and Screaming (0.5), then the CW's Supernatural (0.5) and Riverdale (0.3). FINALS UPDATE: The Goldbergs (R) (0.8), Speechless (R) (0.8), Modern Family (R) (0.9), Black-ish (R) (0.8) and Designated Survivor (0.9) adjusted down. Fox was the only network airing its regular original lineup in its entirety, and Empire (2.3) was able to stop the bleeding in its fourth airing of the spring. However, its lead-in Shots Fired ticked down to 0.9. With Criminal Minds off for the next two weeks, spin-off Criminal Minds: Beyond Borders filled in with a double-dip (0.9/0.8), and did a little better leading out of one hour of Survivor (1.7). Next week it will be Survivor that airs two hours. Across the other three networks, only Designated Survivor (1.1) was original, leading out of repeat comedies (0.9/0.9/1.0/1.0). NBC (0.8/0.8/0.8) and the CW (0.2/0.2/0.2) were all repeats. FINALS UPDATE: The Middle (1.3) adjusted up. Fox's Brooklyn Nine-Nine (0.7) returned after over three months off, dropping by two tenths from its lowest point during the fall. After The Mick hung at 0.8, Prison Break (1.1) took a steep four-tenth drop in its second week back on the air, but it still eked out a second straight nightly win in adults 18-34 (1.0). ABC was the only other network in full original mode, but that didn't help comedies The Middle (1.2) and American Housewife (1.1), which were both down again to new lows. Fresh Off the Boat was even at 1.1, while its lead-in Imaginary Mary ticked down to 0.8 (tying The Real O'Neals' low point in the slot). With no original competition, Agents of SHIELD managed another 0.7 in its second airing of the spring. NBC's The Voice (1.6) easily topped the night despite airing a clip show, and was not much weaker than last week. Trial and Error (0.9/0.8) managed to stabilize at 9/8c, while Chicago Fire (0.6) was a repeat. The CW's iZombie ticked down to 0.3 in week two, with a 0.2 repeat The Flash lead-in. CBS was all drama repeats (0.9/0.7/0.7). These numbers are current through Monday, April 10. AMC's Better Call Saul (0.70) returned on Monday and clearly remains a part of the cable elite. But like the season two premiere, it opened on a new series low; it was nearly a tenth below last season's low point and 34% behind last season's opener. FINALS UPDATE: Dancing with the Stars (1.6), Kevin Can Wait (1.2) and The Voice (2.1) adjusted up. FINALS UPDATE: 60 Minutes (1.6), Madam Secretary (0.8) and Chicago Justice (1.0) adjusted up. CBS' coverage of an extended finish to the Masters overran all the way to the end of the 7:00 hour on the East Coast, putting 60 Minutes (1.5), NCIS: Los Angeles (1.1) and Madam Secretary (0.7) on the air an hour after their scheduled times while Elementary was preempted. On NBC, there was no bounce-back from last week's carnage against the Academy of Country Music Awards; in fact, Little Big Shots (1.3), Chicago Justice (0.9) and Shades of Blue (0.7) all matched last week's lows. ABC's Once Upon a Time (0.7) gave up a tenth for a second straight week, dropping to a new low, but had a minor consolation as Match Game (0.7) grew a tenth from last week's return. American Crime stayed at 0.4. And Fox began a hiatus for its comedy lineup (0.4/0.5/0.8/0.6/0.8/0.5), which will also sit out next week on Easter. FINALS UPDATE: Shark Tank (1.2) adjusted up. Friday broadcast TV got a lot more unscripted, as three new reality series took over for scripted hours that wrapped last week. 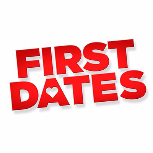 In the 8:00 hour, it was a dead heat between ABC's The Toy Box (0.8) and NBC's First Dates (0.8). NBC can at least say that Dates came in about in line with a typical episode of the previous occupant Grimm, while Toy Box fell a tad behind what the ABC comedy hour usually does. Neither show was able to provide any life to its unscripted lead-out; ABC's Shark Tank (1.1) was sharply down after over a month without an original, and NBC's Dateline (0.8) was also on the low end. The loser of the bunch was Fox's You the Jury (0.4), but even it was not that much weaker than the previous scripted occupant Sleepy Hollow (which got to 0.4 three times in March). Rosewood hung at last week's 0.5 low. CBS stayed all scripted and pulled into the Friday lead with MacGyver (0.9), Hawaii Five-0 (1.0) and a downticking Blue Bloods (1.0). And the CW's The Originals will hope to hold onto its preliminary 0.4 this time after adjusting down last week, while Reign stuck at 0.2. FINALS UPDATE: The Big Bang Theory (2.7) and The Blacklist: Redemption (0.7) adjusted up while Scandal (1.2) adjusted down. After one of its strongest showings of the season last week, TGIT came crashing down with three-tenth drops for both Grey's Anatomy (1.7) and Scandal (1.2), marking a new low for both. Scandal seemingly got ravaged by a couple brief news interruptions related to a military strike in Syria. But even they probably didn't have the most brutal drops on this broadcast night; that would belong to NBC's Superstore (0.8), which was back from a week off and plummeted by a baffling three tenths. NBC had a minor consolation as Powerless (0.6) and Chicago Med (1.0) each bounced back a tick from last week's ugliness. The Blacklist: Redemption (0.7) gave back last week's uptick, but got a clutch finals upward adjustment to avoid a new low. CBS had easily the best night in a generally down landscape, with The Big Bang Theory (2.7) and both the 9:00 comedies (1.4/1.2) on the upswing. Fox and the CW did not emerge unscathed either, as MasterChef Junior (0.9), Supernatural (0.5) and Riverdale (0.3) all shed a tenth to tie their series lows. FINALS UPDATE: The Goldbergs (1.6), Speechless (1.4), Modern Family (1.9), Criminal Minds (1.3), Law and Order: SVU (1.2) and Shots Fired (1.0) adjusted up while Criminal Minds: Beyond Borders (0.7), Arrow (R) (0.2), Whose Line Is It Anyway? (R) (0.2) and Whose Line Is It Anyway? (R) (0.2) adjusted down. Week three of Fox's latest Wednesday lineup saw a pair of small drops from Shots Fired (0.9) and Empire (2.2). After a strong showing last Wednesday alongside the Imaginary Mary premiere, comedies The Goldbergs (1.5), Modern Family (1.8) and Black-ish (1.3) all tumbled by multiple tenths. Goldbergs tied its season low while Modern Family hit a new one, and Black-ish had its lowest point of the season with an original lead-in. Speechless returned to the 8:30 slot matching its last original three weeks ago at 1.3. Designated Survivor also hung on with a 1.1 at 10/9c. One of the few stories of Wednesday resilience remained Blindspot (0.9), which has looked like a stronger show since its last return from hiatus. At 10/9c, Chicago PD (1.3) was also a success story for NBC, upticking from its last two weeks, while lead-in Law and Order: SVU stayed at 1.1. CBS' Survivor (1.7) and Criminal Minds: Beyond Borders (0.8) gave back upticks from last week, while the Criminal Minds mothership stayed at last week's low-end 1.2. The CW was in repeat mode with Arrow (0.3) and Whose Line Is It Anyway? (0.3/0.3). FINALS UPDATE: The Middle (1.4) and NCIS (1.6) adjusted up. Fox's latest revival effort had a successful start, as Prison Break came out of the box with a very young-skewing 1.5 demo to top the 9:00 hour (and it easily won the whole night with a 1.3 A18-34). That's the same demo at which 24: Legacy started in February, 20 hours after airing post-Super Bowl, so count this as a noticeably more impressive showing. It led out of comedies New Girl (steady at 0.9 in its possible series finale) and The Mick (downticking to 0.8). 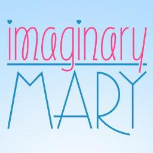 ABC featured the timeslot premiere of Imaginary Mary (0.9), which looked like a typical The Real O'Neals episode leading out of Fresh Off the Boat (1.1), and an uptick in its return from hiatus for Agents of SHIELD (0.7). The 8/7c comedies fared relatively poorly, with The Middle (1.3) and American Housewife (1.2) each hitting new lows after two weeks off. CBS' NCIS twins mothership (1.5) and New Orleans (1.0) were each down a tenth, surrounding a seventh consecutive 1.3 from Bull. And on NBC, it got even worse for Trial and Error (0.9/0.7), down yet another tenth in each half-hour leading out of a softer The Voice (1.9). At 10/9c, Chicago Fire pulled itself all the way up to 1.3, but that was still a new season low. These numbers are current through Monday, April 3. HBO's Big Little Lies finished out its The Night Of-like trajectory with a new series high at 0.66, over a tenth above its previous peak. Both of the HBO minis shook off an early stinker result, slowly inched up during the mid-section of the season, and ended on three consecutive new series highs. FINALS UPDATE: NCAA Championship (7.1) and The Voice (2.2) adjusted up while The Big Bang Theory (R) (1.2), NCAA Championship Pregame (1.9) and Taken (0.8) adjusted down. A year after airing on TBS for the first time, the NCAA men's basketball national championship game returned to CBS. Back on broadcast, it appears headed for a significant year-to-year increase after averaging just a 4.52 on cable last year. It averaged a 5.6 prelim from 9:00 to 11:00 and should go up after West Coast viewing is incorporated after finals. Most of the competitors took a hit, with The Voice (2.1) down by three tenths and Dancing with the Stars (1.6/1.5) losing at least one. Their respective lead-outs, Taken (0.9) and Quantico (0.6), also inched down to tie their season lows. Fox's dramas 24: Legacy (0.8) and APB (0.6) tied their low points as well. And the CW punted with repeats of Supergirl (0.3) and Penn and Teller: Fool Us (0.2). FINALS UPDATE: Little Big Shots (1.3) adjusted up. ABC saw some improvement in its last two hours by replacing cancelled Time After Time with Match Game (0.6). Still, the game show went well below the lowest rating (0.9) of its winter Wednesday run. The CBS dramas sat out in favor of the Academy of Country Music Awards (2.1), which took a modest year-to-year decline after last year's collapse. Almost everything else on broadcast was on the decline, but no drop was more ugly than Little Big Shots (1.2). Its lead-outs Chicago Justice (0.9) and Shades of Blue (0.7) inched down again, as did Once Upon a Time (0.8) on ABC. Fox's comedies were also on the downswing, including a new low for Making History (0.6). The Simpsons (0.9) and The Last Man on Earth (0.8) at least looked OK on a year-to-year basis, especially since LMOE had a repeat lead-in from Family Guy (0.7). FINALS UPDATE: Last Man Standing (1.1) adjusted up while The Originals (0.3) adjusted down. On a night full of finales for broadcast TV, the highest-rated one was ABC's veteran comedy Last Man Standing (1.0), matching last week. But its lead-out Dr. Ken (0.7) did not leave a positive final impression, inching down to a new series low. ABC then had yet another Shark Tank repeat (0.7), as the show prepares a return to originals next week alongside newbie The Toy Box. 20/20 (0.8) rounded out the night. The only confirmed series finale of the bunch was Grimm (0.9), as the sixth-year NBC Friday staple ticked up to tie its season high. It led into two hours of Dateline (0.9/1.0). Fox was also in finale mode with the season or series finale of Sleepy Hollow (0.5), matching last week. Its lead-in Rosewood (0.5) returned to originals, but apparently the viewers couldn't tell; it matched last week's repeat and was a new low for originals. CBS was back from its March Madness hiatus with MacGyver (0.9) and Hawaii Five-0 (1.0) on the downtick, but Blue Bloods (1.1) inched up at 10/9c. And on the CW, the surprisingly impressive start for The Originals continued with another preliminary 0.4 in week three, leading into Reign (0.2).